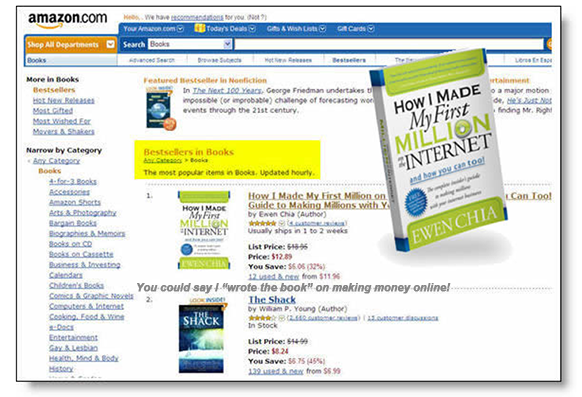 Ewen Chia's Secrets of Internet Business! Can You Check Your Email? If So, You Already Have All the Skills You Need to Run Your Own Successful Internet-Based Home Business! Enter Your Best Email Below For FREE 7 Day Course! Supplement-Hawking “Job” - It’s REAL Money Being Made by REAL People - Every Day! How did they go from knowing almost nothing about this whole “Internet thing” to making a good living from it? 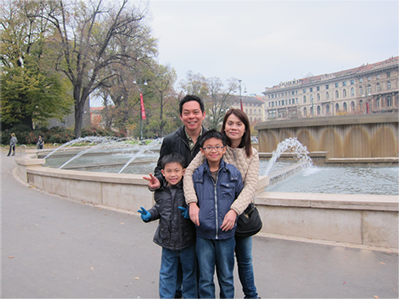 If you can check your email, you can earn an extra income online with Secrets of Internet Business! Stay-at-home moms (and dads!) looking for a way to make extra money while looking after the kids. Retirees who don’t want to spend their golden years living on meager government checks. Even if the only experience you have with the internet is using a search engine or checking your email – you can do this. It really is that simple. Your information will never be sold or shared – ever. Period. 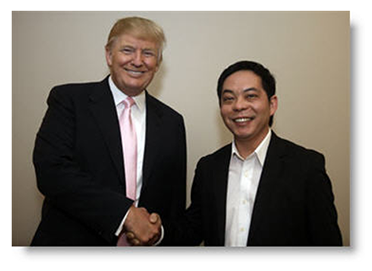 I’ve hosted sold-out seminars, A-list networking events (check out the photo of me and “The Donald” below!) and so much more. I’m simply showing you one example of how one guy can go from countless sleepless nights wondering how he was going to pay the bills (and support a wife and two kids), to never having to worry about money again. When that happens, it sets about a chain reaction where everything else just falls into place. You start feeling better about yourself. Your self-confidence grows. And in many cases, the journey to get to that point costs an unheard-of number of hours, working well through the night to the early morning hours…sacrificing everything just to keep climbing. Because I’m Giving You the Keys to Run Your Own Successful Online Business – Right from the Start! I Want You to Have ALL THIS! I want you to wake up in the morning rejuvenated and excited because you finally have the freedom to be your own boss. I want you to buy the things you’ve always wanted – for yourself, for your family, for your kids… but kept putting off because they were too expensive. I want you to enjoy the rush of exhilaration that comes with checking your email, and seeing that while you slept, more money poured into your bank account than you’d ever earn as a wage-slave at a 9-to-5. I want you to bask in the success that comes with knowing that you finally did it – and your efforts paid off in a BIG, rewarding way. I want you to taste the freedom that comes with being able to nearly “set and forget” your online business, and enjoy living life to the fullest! Yes! 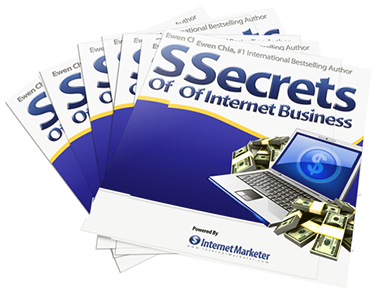 I Want the Secrets of Internet Business Now! Now, before you hesitate thinking this is another one of those “marketing guys” who tries to sell you some bloated package of software and other junk that you have no idea how to use – relax. There’s NO EXPERIENCE needed to run your online business. If you can check your email, you already have all the skills you need. There’s NO product or service to sell – You won’t be passing out literature, supplements, vitamin-shakes or any other junk like that. You also won’t be stuffing envelopes or putting together crafts. You won’t be cold-calling a list of “prospects” – In fact, you won’t be calling anyone. Instead, I’m going to show you exactly how I continue to make thousands of dollars a day, like turning on a faucet. Once you see how incredibly easy it is (especially with me helping you! ), you’ll discover that your new internet business potential is WIDE OPEN. Grow your new business (and income) as little, or as much as you want! There’s no limit to the money you can make with these simple techniques! Give me just 7 days… that’s one week, to teach you how. Every day for one week you’ll receive an email with easy-to-follow steps that walk you through the process, so you can easily squeeze it in, any time of the morning, afternoon or evening. Earn Extra Money with Your Own Internet Business - Starting Today! All I need is your best email address. Name any other line of work where you can learn everything in such a short amount of time! © Copyright SecretsOfInternetBusiness.com - All Rights Reserved Worldwide.